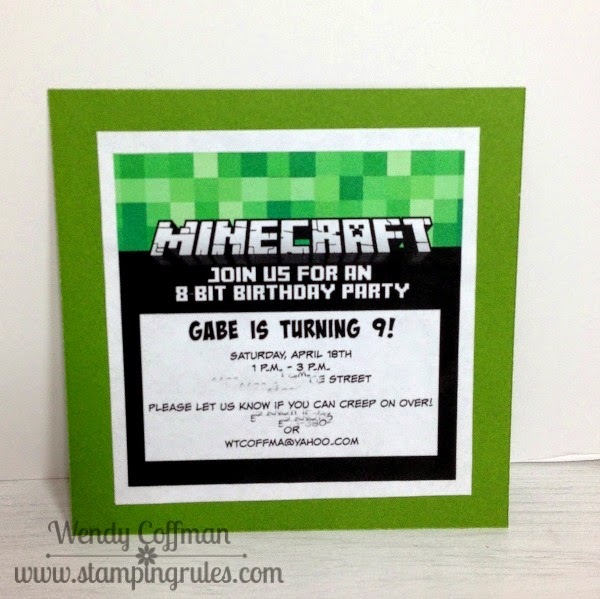 This week I made these super simple Minecraft Creeper birthday invites for Gabe's upcoming birthday party. If you don't have a small elementary school age kiddo residing in your home you may not have encountered the joy of Minecraft. However, this game is what makes my kid's heart beat fast, so this is the party we are having. I used Cricut Design Space to weld together simple shapes from the Art Philosophy Cartridge to create a passable resemblance to a creeper face. Yes, that's really what they look like. I welded the shapes together, made the cuts, and glued them to 5 inch squares of Topiary Cardstock. For the back I used PicMonkey to alter a free printable I found HERE. I had to alter it because I was making a square creeper face invite and this was a 4x6 printable. I cropped the file into a square, then created little green squares in different shades to cover up the 2 rows of black creeper face that didn't get cropped off. I added my text right in PicMonkey and printed out our invite info. Easy peasy and Gabe was thrilled, so mission accomplished. Here's the link to my Cricut Explore file. 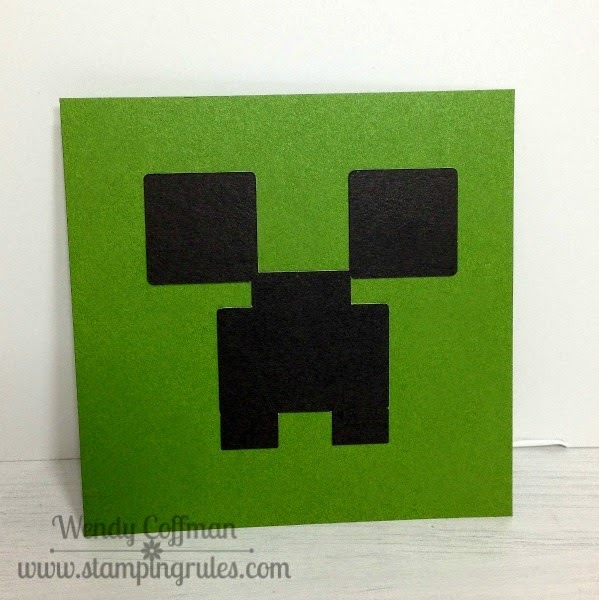 If you have the CTMH Art Philosophy cartridge, you too can easily cut creeper faces. I'm planning to cut more in different sizes to turn our front door, water bottles, kitchen cabinets, etc.. into creepers for the party with the help of some green tissue paper leftover from Christmas. This is great Wendy! We just had a Minecraft themed birthday party for my little guy a couple months ago! Love your idea for the invitation!! That's perfect! My boy turns 9 in June.